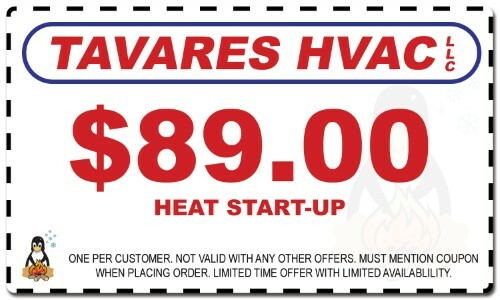 At Tavares HVAC, we believe in offering the best heating, air conditioning, ventilation, and electrical services and installation to New Jersey. 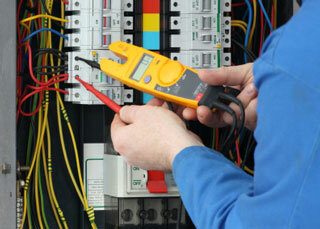 Our technicians are well-trained and customer-oriented. Ongoing Training — Constant training ensures only the most knowledgeable techs will handle your problem. Upfront Pricing — This guarantees NO SURPRISES. A full written proposal with guaranteed pricing before we begin working. Respect Your Home — We treat your home as if it were our own. We place drop clothes on work areas, wear shoe covers and leave your house cleaner than when we begin. All of our employees are tobacco free for your comfort. Most people leave the house at one temperature and forget to change it. so Nest learns your schedule, programs itself and can be controlled from your phone. Teach it well and Next can lower your heating and cooling bills up to 20%. First, answer a few basic questions. After that, Nest will optimize itself for your system and start learning from your temperature changes. Only 11% of programmable thermostats are programmed to save energy, but Nest remembers the temperatures you like and builds a schedule for you. It's so simple that 99% of Nests have schedules. Nest saves the most when you teach it well. With Auto-Away™ Nest automatically turnes to an energy-efficient Away temperature when you're gone. Auto-Away works in 90% of homes, even if your Nest is in a spot you don't pass on your way out the door. Use the Nest Mobile app to connect to your thermostat from a smartphone. Getting in early? Change the temperature miles from home. 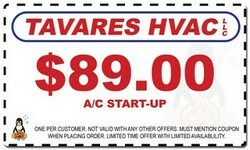 Whether you're looking for heating, cooling, or indoor air quality, the experts at Tavares will ensure your health and comfort year-round. Our experienced technicians are trained to complete basic tune-ups to keep your current HVAC equipment at optimal operation. For older systems, our staff can recommend and install new, more energy efficient cooling and heating systems. From basic household electrical repairs through more complex panel upgrades, whole home surge protection systems, and back-up electrical generators, Tavares can help! Our skilled electricians can upgrade your home to meet the power demand of new electronics as well as protect your electronics from potentially damaging power surges. Stand up to unpredictable weather and unforeseen outages with the most trusted name in residential standby power. When the power goes out, your Generac standby generator goes on - automatically - protecting you and your home 24/7. Take Charge. 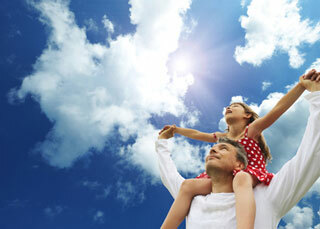 We depend upon electricity for all the daily necessities of life. When the power goes out, save the day with a Generac automatic back-up generator. Get power when and where you need it, no matter where you go. Generac’s rugged, dependable portable generators are designed to deliver power wherever you are—from tailgate parties to construction sites. With sizes up to 17500 watts, you can take your power with you wherever you need it. We are at your service 24 hours a day, 7 days a week providing high quality HVAC service to homes and businesses in New Jersey. When you call us you can expect a friendly voice on the phone to listen to you, a fast response, work performed by a licensed, trained New Jersey HVAC contractor, and a guarantee of quality home comfort repair or installation services.